This is such an easy, elegant and delicious dish it would be perfect as a weeknight supper or even as a dinner party staple. 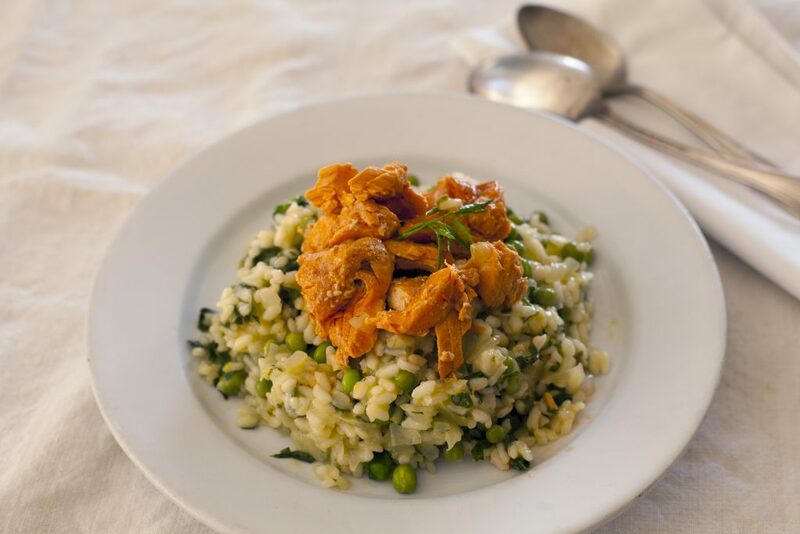 If you have any favorite risotto recipes it is so easy to add canned salmon to up the protein and make it a truly one pot meal. 2. In a Large sauté pan slowly cook onions and mushrooms in butter over medium heat. After both have completely softened add the rice and cook until toasted, but not browned. 4. Once the rice is cooked to ‘al dente’ add the cream, parmesan, lemon zest and salmon and serve immediately.